Number of students at Jewish day schools nearly equal to students at charter schools in New York State. The number of students attending Jewish day schools and yeshivas in New York City is nearly as large as the entire New York City-based charter school population, according to the New York state Department of Education. 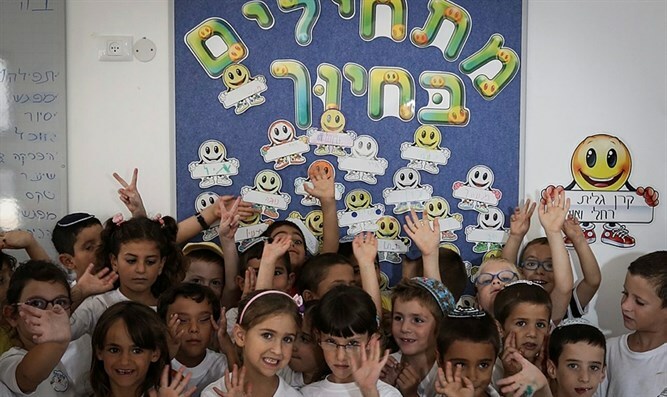 The number K-12 students attending Jewish day schools and yeshivas in the city now exceeds 110,000, an increase of more than 10,000 students in less than two years. There are about 114,000 students in the charter school population, and another 148,345 students are enrolled in other parochial or independent schools. In total, the number of non-public school students comprises 18 percent of New York City’s total school enrollment. Charter schools are public schools. Neil Cohen, chairman of Teach NYS, a project of the Orthodox Union that supports Jewish day schools, said the new data show the importance of continuing to push for a more equitable distribution of local and state funds for non-public schools. “This demonstrates our community’s need to stay focused on one of the top priorities for our families – making non-public school education more affordable,” Cohen said. Teach NYS has secured an additional $450 million in funding for New York City Jewish day schools, which has been used to increase security, enhance education and defray higher tuition costs. In 2018, it championed a pilot program to begin providing kosher and halal meals to students enrolled in the city’s public and nonpublic schools.